Hello, and thank you for reading! This is my personal page on mindat, and I will update this from time to time to explain a bit more about me and my interests. As you probably know, I created mindat.org. It started as a personal PC database that I wrote from scratch - work I started on Christmas Day 1993. The first website version of mindat.org went live in October 2000 - and it has grown phenomenally ever since - thanks to the huge efforts of everyone who contributes. My first specimen was this pebble containing some very rough Quartz crystals, from Tintagel in Cornwall, which I found when I was 6 years old in the summer of 1976. It was a family holiday to Cornwall, we were staying in a bungalow in the village of Egloshayle, near Wadebridge. Looking at the specimen more recently, I noticed it had dozens of tiny but perfect Anatase crystals throughout it! 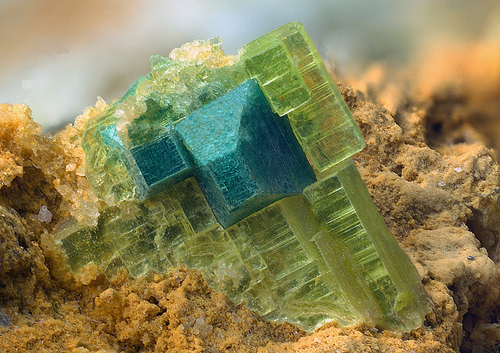 Here is a macro photo taken by my brother of one of these sub-millimetre crystals. 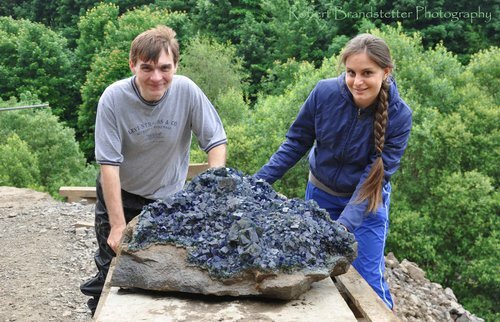 This page lists Jolyon & Katya's favourite minerals, localities and photos. All lists in alphabetical order. 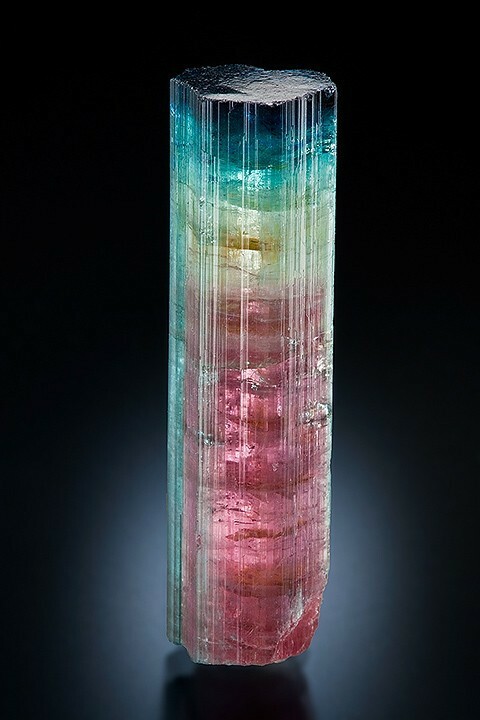 Blue cap tourmaline, 3.1 x 0.9 cm. Ex. Richard Nelson collection. Underground on the 800' Level at the Sterling Hill Mine, June 1991. Richard Hauck is on the left, and Dale Zemwold is on the right. 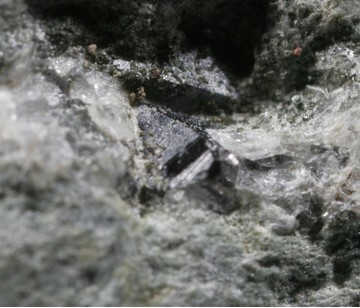 Note the exceptionally gemmy pocket of 8 inch long willemite crystals exposed on the hanging wall. Sorry... didn't have my flash with me. 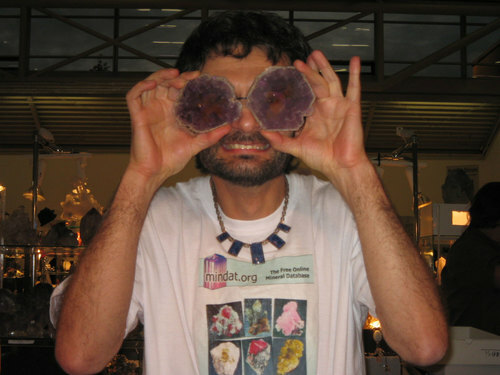 Alfredo Petrov looking through two slices of Ametrine (mixed amethyst and citrine). 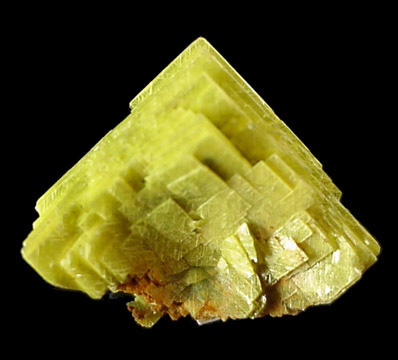 Excellent bright yellow complex crystal cluster of radioactive autunite. Very sharp and well crystallized with no damage. Fluoresces bright green under UV illumination. Ex. A. Stevenson collection #815. 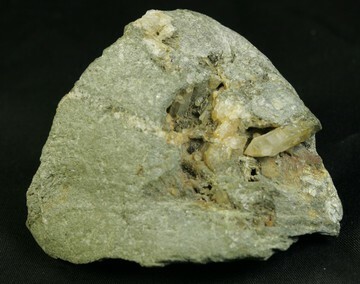 Overall size of mineral specimen: 20x15x10 mm. Size of individual crystals: 15 mm. 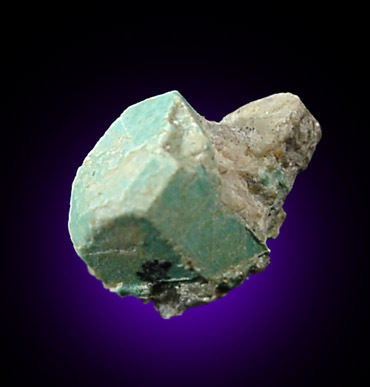 Sharp, well formed specimen of rare sea-green colored turquoise pseudomorphs after beryl crystal 8 mm across with corner modifications. 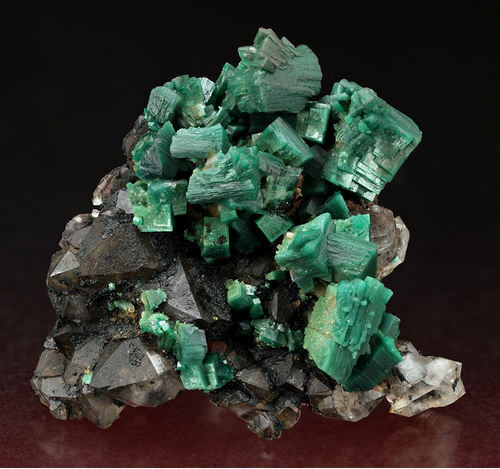 Identified, based on morphology and trace samples of beryl, by Chesterman at the Ca. Div. of Mines and Geology. 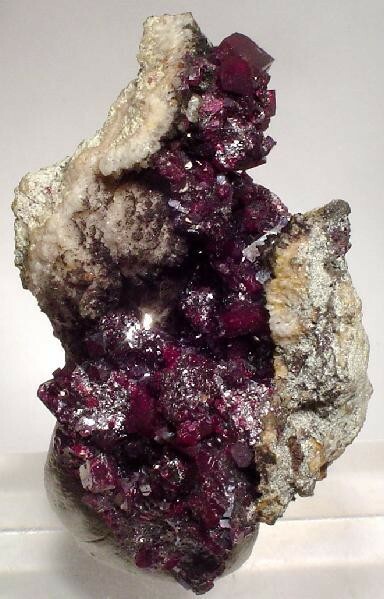 Overall size of mineral specimen: 15x10x7 mm. 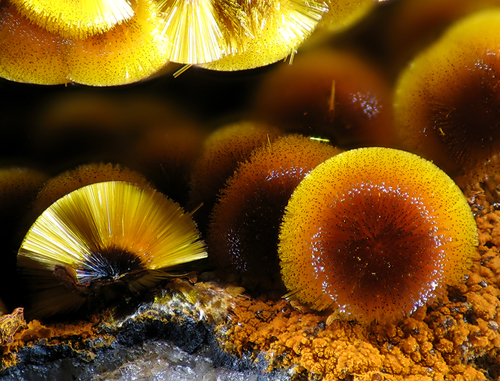 Size of individual crystals: 8 mm.